Luxury Product Curator, LuxeFinds’ New Website Design! Today we are unveiling an online look that is as sophisticated and luxurious as the brand it represents: LuxeFinds. LuxeFinds (named one of the world’s Top 25 Rewards Style Publishers in 2014) carefully finds and curates the chicest trends, giving readers a go-to resource for luxury lifestyle inspiration. From fashion to home decor, LuxeFinds is committed to seeking out only the highest quality products and designs to inspire their readership. And with over 5.2 million viewers, LuxeFinds is quickly becoming a staple resource for identifying luxury lifestyle trends. LuxeFinds asked for our help in the custom website design for their new self-developed site. 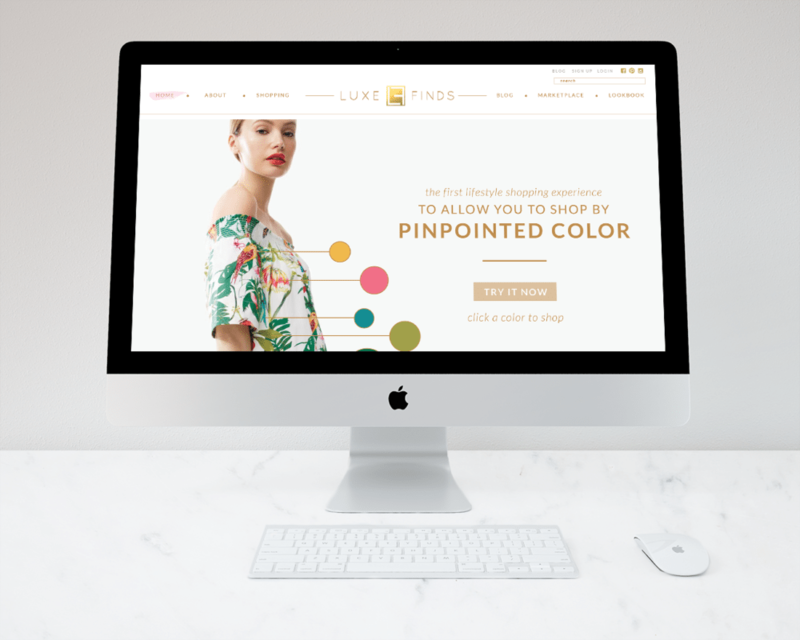 With such an expansive readership to impress, we knew this custom website design had to be true to LuxeFinds’s quality-focused brand identity. 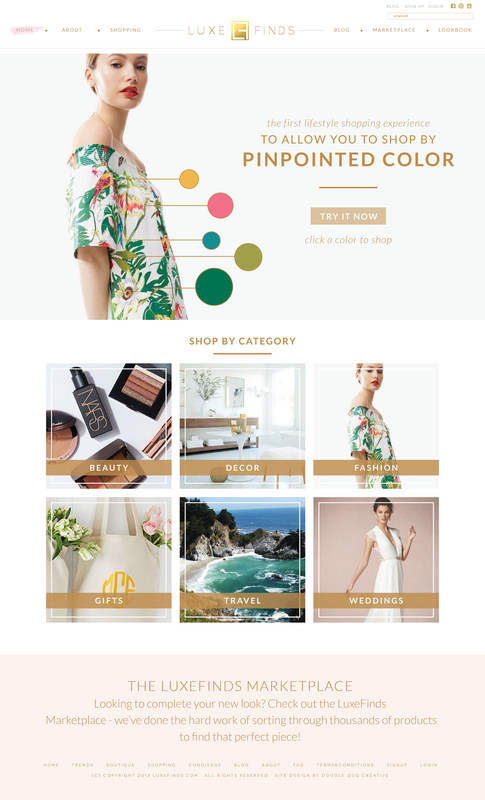 We pulled together chic neutral tones and touches of luxurious gold, combined with sophisticated fonts that convey the stylish essence of LuxeFinds’s brand personality. 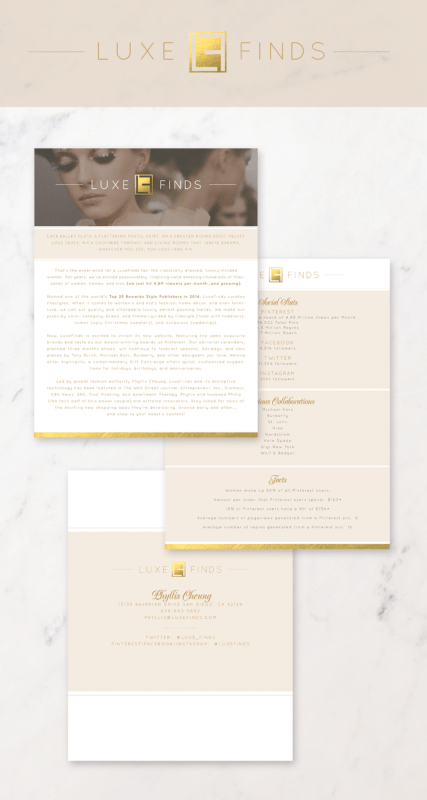 Overall, the design was clean and elegant—letting products shine in an effortless layout. 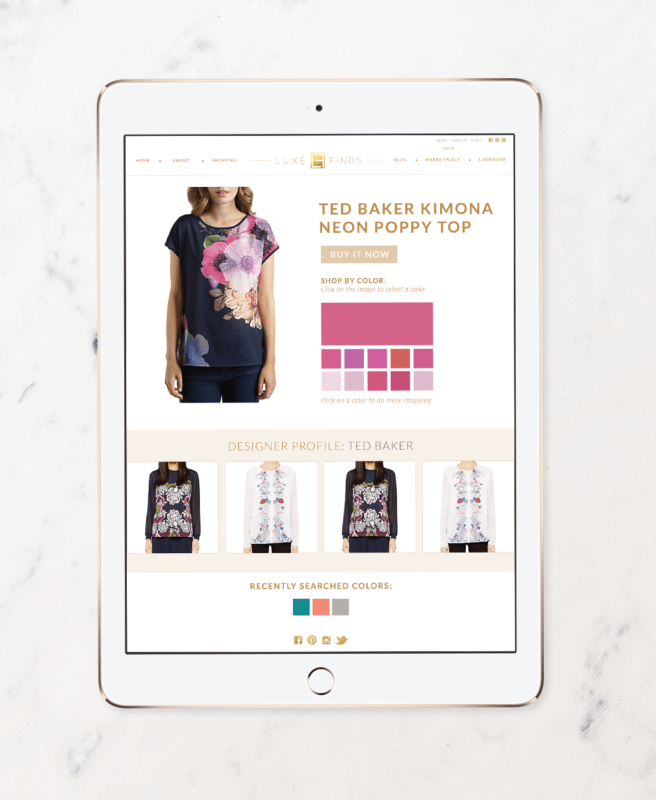 With a fresh look in design, the LuxeFinds team took it a step further on functionality. 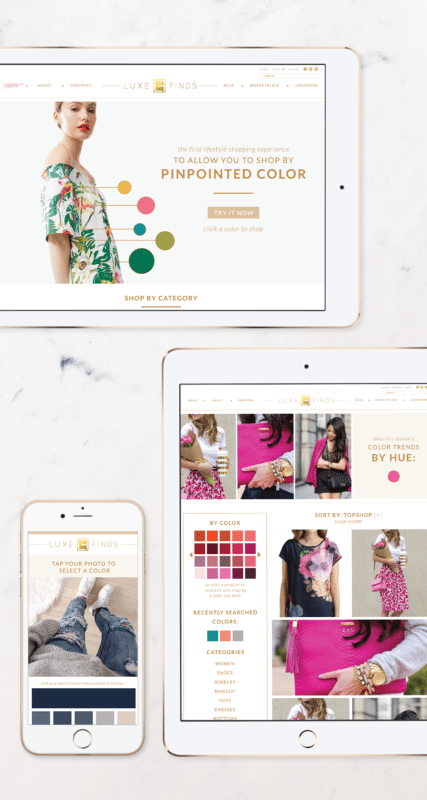 The developers at LuxeFinds created one-of-a-kind color-matching technology allowing users to filter products by pinpointed hue. It’s easy: simply upload an image from the web or your phone camera. 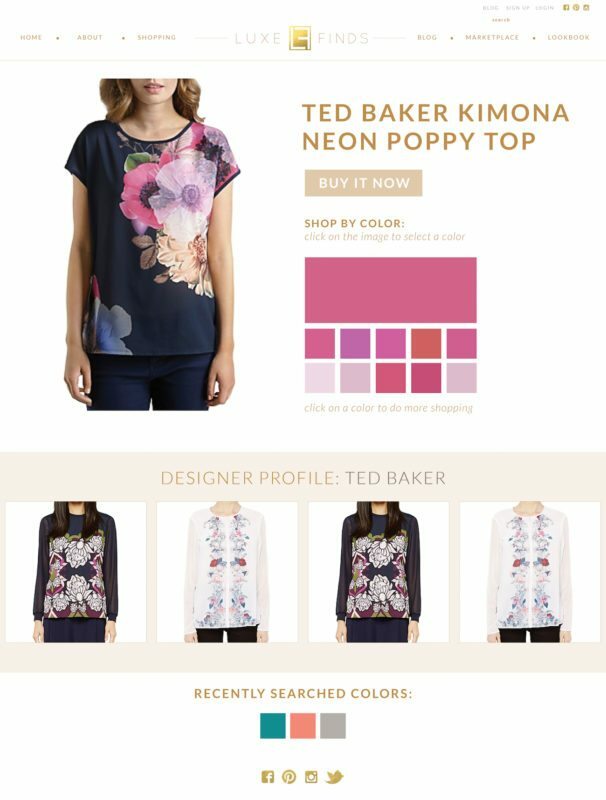 Using LuxeFinds color technology, pinpoint an exact color hue from that image. Then instantly browse countless product results in your pinpointed color. Talk about functionality! Needless to say, this is an amazing technology breakthrough by LuxeFinds developers—and a huge benefit to LuxeFinds users. We showcased the new advancement with a fresh design to highlight the color search features. 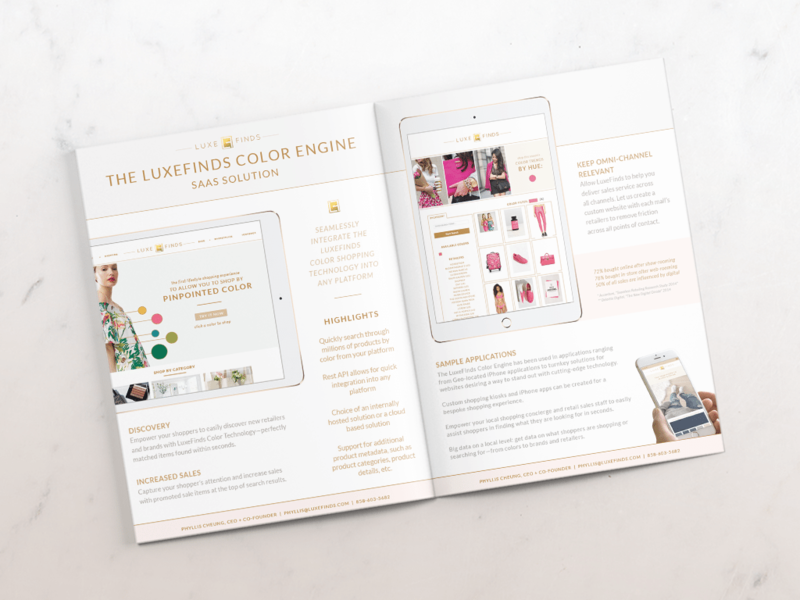 To top it off, we designed an ad for LuxeFinds introducing their new technology to other retailers. THE ABOVE GRAPHICS ARE MOCK REPRESENTATIONS OF THIS WEBSITE, AND CONTAIN PHOTOS THAT ARE COPYRIGHT OF LUXEFINDS AFFILIATES: NORDSTROM, J CREW, GIGI NEW YORK, LIVVY LAND, + CAREER GIRL DAILY.